TSX Venture Exchange (TSXV) last week announced the 2017 TSX Venture 50TM, the venture exchange's flagship annual ranking of top performing companies from five industry sectors: Clean Technology and Life Sciences, Diversified Industries, Mining, Oil & Gas, and Technology. Each year, the TSX Venture 50 features companies from Canada and around the world that have achieved standout results in key measures of market performance, and showcases their unique and hard-earned success stories. The companies included in the ranking were selected based on three equally weighted criteria: market capitalization growth, share price appreciation and trading volume. The success of TSXV-listed companies has an enduring positive impact on the Canadian economy as these companies grow, and scale into larger, globally competitive companies. TSXV success stories become some of Canada's biggest success stories. Since 2000, 630 companies have grown on TSXV and eventually graduated to Toronto Stock Exchange. Approximately 20% of the companies included in the S&P/TSX Composite Index are TSXV graduates. Congratulations to all of the companies included in this year's ranking! For the full 2017 TSX Venture 50 ranking and to view company videos, visit: www.tsxventure50.com. 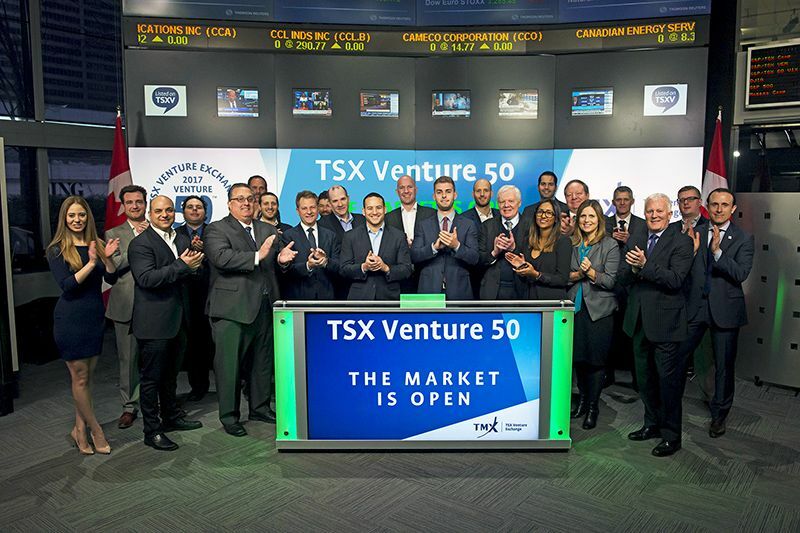 The 2017 TSX Venture 50 cohort join Brady Fletcher, Managing Director, TSX Venture Exchange to open the market on February 24, 2017.